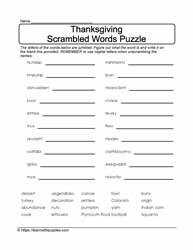 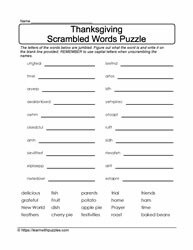 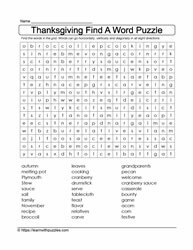 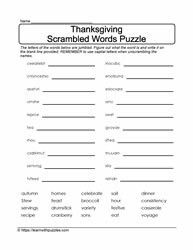 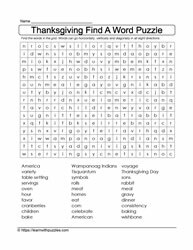 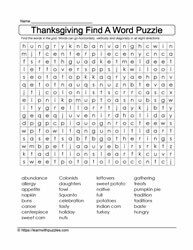 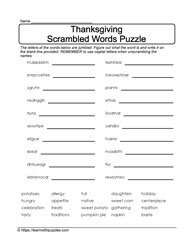 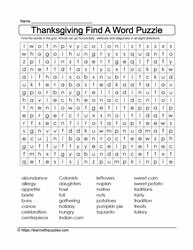 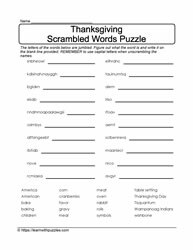 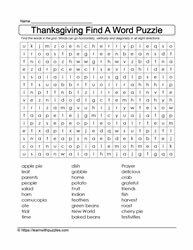 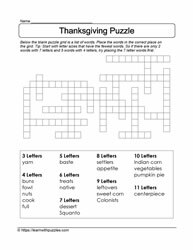 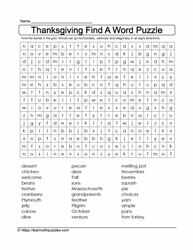 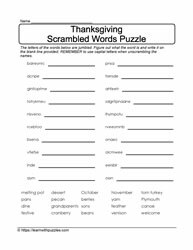 Thanksgiving puzzles. 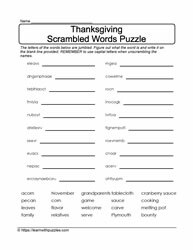 Cryptolists, scrambled letters, crosspatch and crossword puzzles. 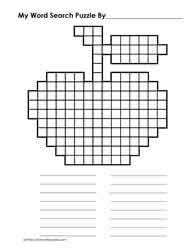 Students' problem solving strategies engaged. 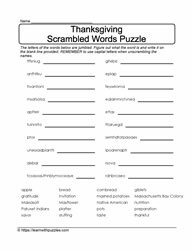 Vocabulary building skills and independent work practice. 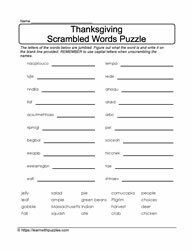 Suitable for elementary grade classrooms, English language learners, and students in homeschooling environment.